In this post, we ranked five of the best-selling 3D pens. A 3D pen is a pen that prints in three dimensions. The 3D printing pen works similarly to a glue gun. The pen uses a colored plastic filament, which is heated and squeezed out of the tip. Filaments generally come in two types, ABS or PLA. ABS is stronger and more flexible, while PLA allows for a greater range of filaments and is biodegradable. The melted plastic allows artists to draw lines as well as mini sculptures (Source). With these unique pens, artists can create amazing creations, intricate wireframe shapes and 3D drawings in space. While this type of drawing is fun, it does take practice, and experts say it’s best to start off slowly by using a stencil to practice. Also, try doing some 2D drawings until you get a handle on how to control the plastic before you move to a fully-realized 3D sculpture (Source). Here are five 3D pens that would be good choices for the beginner. The Tecboss pen comes with 20 colored filament refills, which amounts to 320 feet of plastic. It features an 8-speed printing control for better precision and an OLED display that allows you to quickly read which of the two filament modes you’re using — either PLA or ABS. Three indicator lights let you know the status of the heat and when it’s time to load the filament. Overall, this pen is rated highly by users as a good value and for being easy to use. The DigiHero pen comes with a 12-pack of differently colored filament refills, which amounts to 120 feet. Like the previous, this one comes with a screen that’s easy to read and gives out all the pertinent information. This unit also accepts both ABS and PLA plastic filaments and features adjustable temperature speed so you can adjust to your skill level. This pen comes with a 100% satisfaction guarantee, and most users said it was easy to use and worked well. Next is the Besthing pen, which also accepts both ABS and PLA filament. Like the others, this also has an LCD screen. Compared to the previous pens, this one only comes with six PLA filaments, so if you’re looking for more to experiment with right out of the box, you should see the other ones listed. 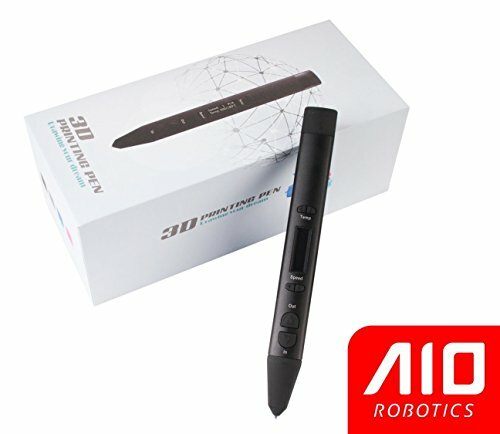 The AIO Robotics is advertised as a premium 3D pen, and the cost reflects that, as it’s about $20 more than the others we checked. That extra $20 gives you an ultra-bright OLED display and a comfortable, slim, ergonomic design. The package includes two filament refills. 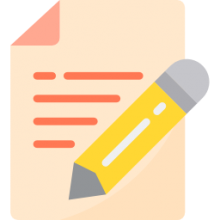 Users said the pen felt great in their hands and praised the company for their prompt customer support when problems arose (Source). Last is the Dikale pen, which comes with 12 color refills of PLA plastic (works with ABS too) as well as stencils and e-books to get you started. The pen also has an easy-to-read LCD and a variable temperature speed. Lastly, this also comes with a satisfaction guarantee and is a good pen for the beginner. 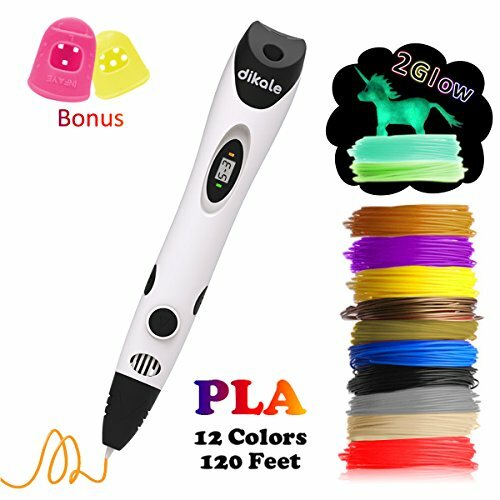 This modeling pen offered by Dikale is affordable, well-made, multifunctional, and an excellent choice for beginners and kids. Users love that the product is easy to use and that it’s PLA and ABS compatible, but some do note that it’s not as durable as expected. The Dikale 3D unit features a simple plug-in design, an advanced LCD screen, auto shut-off, which makes it perfect for children, and auto sleep function. Another great thing about this pen is that it comes with a PLA filament pack of 12 different colors. What’s more, you can adjust the temperature and the speed. In addition to this, you get a 1-year warranty. 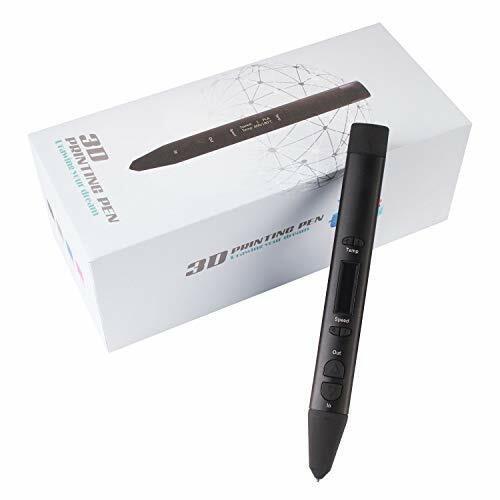 As a whole, users have a favorable opinion of the Dikale gadget, and they highly recommend it as one of the best 3D pens available. A reviewer comments that the instructions are easy to follow and that a beginner or a child can use the pen with no issues. He adds that he had great fun learning how to use the 3D pen and that you can take it apart if it gets stuck. Another user shares that he likes the buttons and the display and that it’s perfect for people with small hands. A buyer also states that the print quality is outstanding and that customer support is helpful if you run into a problem. However, a couple of customers have complained that the device clogs often and that it dribbles. Some also point out that it worked less than a day before breaking. 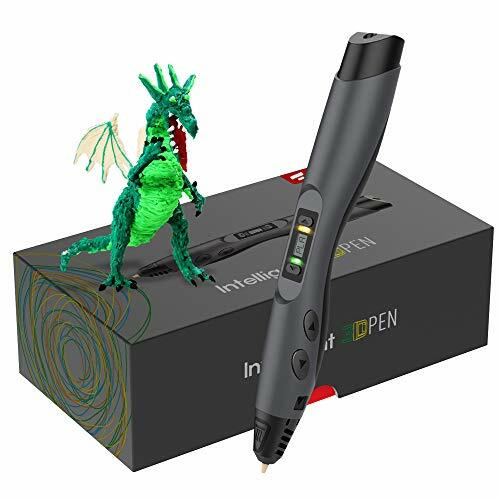 If you are looking for the best 3D printing pens to create amazing three-dimensional objects, you might want to consider this one offered by AIO Robotics. Users love the ergonomic design, but some do note that it’s not very durable. The AIO Robotics modeling pen features an extra-bright display, which allows you to keep an eye on the speed and the temperature. What’s more, you can adjust the flow speed to your preferences and change the temperature in one-degree increments. The package also includes two colors of PLA filament, a manual, a cable, and A/C adapter. A reviewer shares that she was impressed with the style and weight of the full-metal 3D pen and that it’s a piece of cake to use it once you read the instructions. She adds that it’s well-balanced and that it feels solid. Another user also comments that it heats quickly and that it works with all types of PLAs. A buyer also observes that you can fill and refill it easily and that it’s perfect for creative children. She highly recommends it as one of the best modeling pens available. However, a couple of customers had complained that the AIO Robotics printing unit worked for about a week before it broke. Some also point out that it doesn’t feed the filament consistently. 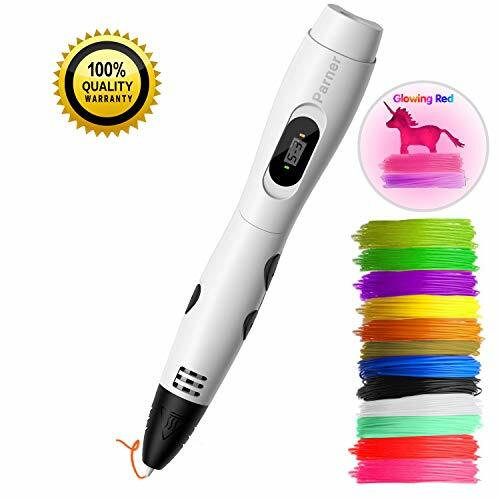 This 3D printing pen offered by Besting is easy to use, well-designed, affordable, and an excellent choice to improve a child’s imagination and creativity. Users love that the unit is PLA and ABS compatible, but some do note that they are disappointed with the quality. The Besting 3D tool features a speed controller, adjustable temperature to suit different needs, a heat dissipation port to protect your hands from burning. Another great thing about this product is that it comes with six free bundles of PLA filament, which is made from organic material so that it’s non-toxic. What’s more, the pen shuts off automatically if you don’t use it for five minutes. A reviewer comments that Besting 3D pens are fun to use and that you can do a lot of experiments with them. He adds that it doesn’t get too hot so you can touch it without burning and that he likes the adjustable speed. Another user states that he was surprised how quickly the Besting unit heated up and that the instruction manual was easy to understand. A buyer also shares that he loves the plastic holder, which is convenient to store the gadget when you finish modeling and that it’s fun to use it. 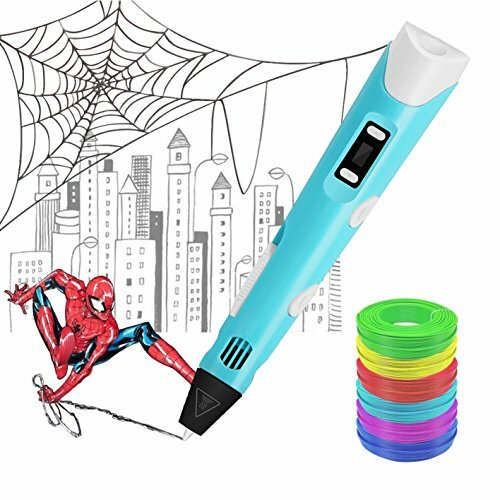 He highly recommends it as one of the best 3D pens for DIY projects. However, a couple of customers have complained that the gadget stopped working very quickly and that it kept getting clogged. If you’re wondering how to surprise your creative child, you can try one of these 3D printing pens offered by DigiHero. Users love that the package includes a PLA filament pack of 12 different colors, but some do note that it clogs. The DigiHero modeling gadget features adjustable printing temperature (three settings), adjustable speed, an advanced LCD screen for convenience to monitor speed/temperature. Another great thing about this product is that it’s compatible with PLA and ABS and the filament pack is made of eco-friendly material. What’s more, you have a 30-day money back guarantee. As a whole, users have a favorable opinion of the DigiHero product, and they highly recommend it as one of the best 3D pens for adults. A reviewer observes that the pen arrives in a beautiful, presentable box, which makes it perfect for a gift. He adds that it’s light and well-made and that the holder is convenient when you want to set the tool aside. Another buyer states that the filament flows fast and that it runs far more smoothly than he initially expected. This intelligent printing pen offered by Tecboss is well-made, durable, easy to use, and a great choice for DIY projects. Users love the two-finger protectors to avoid burning the fingers, but some do note that it jams. The Tecboss gadget features an OLED display, which shows the type of material and temperature, two power modes (power bank and a USB adapter) so that you can use the doodle pen outside, an indicator light, and 8-level speed controller. Another great thing about this product is that it’s PLA and ABS compatible and that it comes with two free bundles of PLA filaments (random colors). A reviewer comments that her granddaughter had no issues using the Techboss gadget even though she had no prior experience. The user adds that the instructions are not long and that they are easy to understand. Another buyer also observes that filament loads smoothly and concisely and that it has never clogged so far. A purchaser shares that the box comes with everything you need to start a project and that the tool heats up quickly. She highly recommends it as one of the best doodle pens available. However, some customers have complained that it’s nearly impossible for them to load the filament and that it gets stuck. Some also note that it breaks too quickly and that it’s cheaply made. How to draw in 3D? Drawing in 3D is now possible thanks to the 3D pen- whether you’re an adult or a child. It is a technological tool increasingly adopted by many artists and creators but also by the youngest. This section gives you a little insight into what it is, how it works and will end with a small list of some of the 3D pens available on the market. 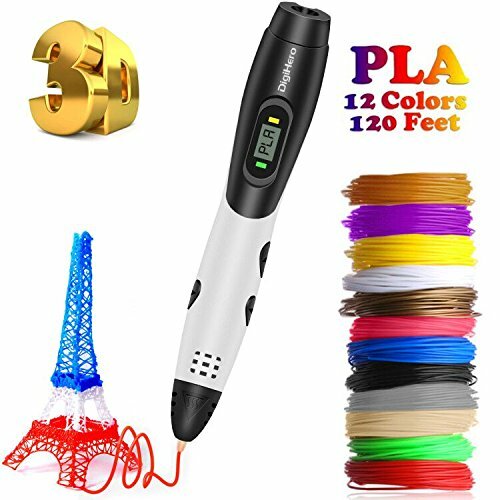 One of the best sites to learn more about them and buy some truly unique styles is the 3doodler site. 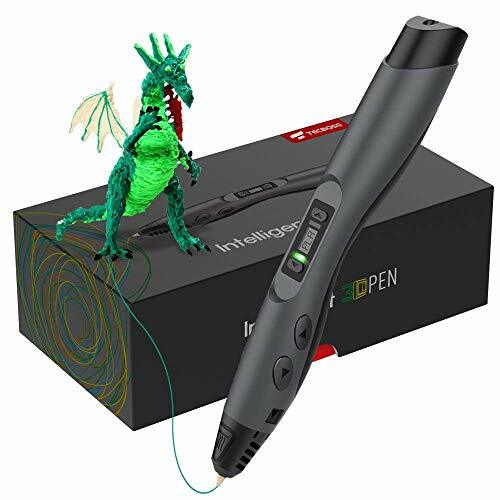 For simplicity, we can say that a 3D pen is simply a technological version of an ordinary pen, a kind of hybrid between the 3D printer and the conventional pen. But the major difference is that this pen does not use ink or graphite lead. Instead, we have plastic instead. It may sound strange, but it’s the reality. It works with ink and is handled in much the same way as a conventional pen or pencil. It should also be noted that a they are a bit larger than a conventional pen. Today it has become a very trendy object that many teenagers and even adults love to use to indulge in the art of drawing. However, do not think that because of the name, it has something to do with 3D printers. There is virtually no connection between the two. It embeds an indoor heating system. To use it, it is necessary to insert a plastic filament as mentioned above. Under the effect of heat, this filament melts and leaves room for liquid plastic. In addition, the heat must be strong enough for the filament to melt. Note that the filaments are available in different colors. Moreover, being a technological tool, it works thanks to an integrated motor. A very interesting tool to express artistic talent- the 3D pen is practically used on all surfaces. You have free reign. A variety of colors are available for the filaments. For an artist, this pen represents a real bargain . Nowadays, we add an extra dimension and more realism to the usual drawings we make with ordinary 2D pens. For an artist, it’s a bigger expression of talent. Draw directly in 3D: This method is the fastest but the structures are not rigid. You have to start by drawing a big dot flat. Then while continuing the extrusion, it is necessary to mount the 3D pen. Then you have to stop the pen to allow time for the wire you just extruded to cool (it only takes a few seconds). Tada! Your creation is all alone. Draw in 2D then assemble the parts: This method is the simplest and the one that allows creating the most stable structures. We begin by drawing each part of the volume flat (for example the walls of a house). It can be ironed several times to stiffen the parts. To assemble the parts just stick them using the hot plastic out of the 3D pen. Draw over a volume: Choose a simple object and not plastic. Draw on top with the 3D pen without joining the ends (to be able to remove the object). It only remains to join the ends. This is probably the most sophisticated model currently on the market. He is also the finest one can find. One of the big benefits with the Lix Pen Smart 3D is that it is quiet compared to most other 3D pens. This model is also powered by USB cable, which is very convenient. It is distinguished mainly by its ease of use . It has a small screen on which the heating temperature is displayed. Said temperature is also controllable. You can also adjust the extrusion speed of the filament. Among other models that stand out in the market, we also have the MOHOO Intelligent 3D, Homecube Pen 3D Printer, Plusinno 3D Pen, CCbetter Smart 3D Pen and YESTECH 3D to mention just that. 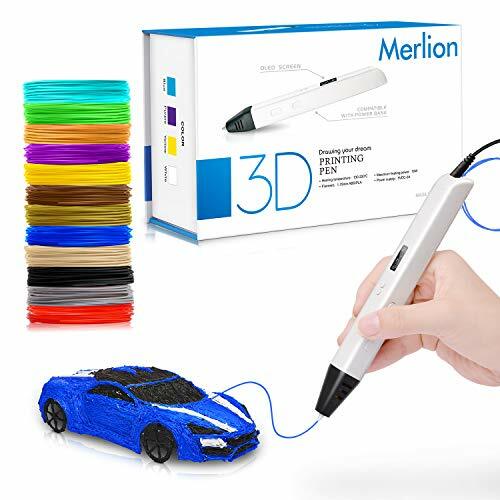 No need to invest a fortune in a 3D pen- models of 3D pen for children have emerged. With shapes adapted to the hand of younger children, but also an increased resistance to shocks and falls.